You may be faced with disability, illness, foreclosure, or loss of job that debt settlement solutions may not completely resolve. 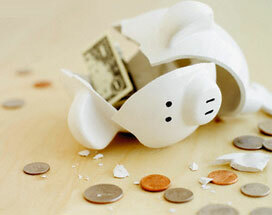 Bankruptcy is in fact a legal protection that assists you to reorganize your finances. If you find it hard transforming debt into wealth, you can always opt for bankruptcy. You should note though that there are many procedures integrated with it. Before you go straight to the court, it pays to get bankruptcy advice first that will protect you from the annoying calls and at times aggravations from your creditor. That’s why it is advantageous to familiarize yourself with the types of bankruptcy protection that you can take advantage of. It is beneficial to read as much information and advice on bankruptcy available in online resources. You should learn about Chapter 7 and Chapter 13, which are the two main forms of bankruptcy protections. Note that Chapter 7 is also known as liquidation bankruptcy. This will help you determine if you are qualified for this legal protection and get you educated on the ways to keep your maximum property as well as rebuild your credit after bankruptcy. While most people perceive that credit card debt is the topmost reason for bankruptcy declaration, the truth is heavy medical bills may induce some people to go this path. Based on a research, 50% of personal bankruptcies are caused by medical debt. If you are in dire need to expend huge amount of money in medical statements and your medical insurance is not sufficient to cover such expenditures, you are about to incur serious medical debt. Thus, it is critical to get bankruptcy legal advice to learn how to file for medical bankruptcy. Remember that there is no particular provision on medical bankruptcy since all debts are considered the same by law. The Chapter 7 bankruptcy is the primary option to settle medical debt, though Chapter 13 bankruptcy can also be filed if you have very small amount of income. The latter type will help you eliminate the possibility that some of your valuable properties such as a car or mortgaged home will be seized. The court will designate a trustee to oversee your repayments. If you owe thousands of dollars in consumer debt, mortgage payments, and other types of loans, and you just lost your job, debit consolidation will be of no bearing in your situation. The only option for you is to file for bankruptcy. This will furnish you with legal shield against annoying creditors. 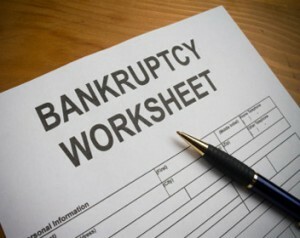 However, you must gain knowledge of the steps to file for bankruptcy at no cost initially. You will have to consult experienced bankruptcy lawyer and ask for personal bankruptcy advice. A skilled attorney can make the filing process easier for you. It is critical that you provide all of your financial information, to include paycheck stubs, outstanding bills, copies of car loans, bank statements, mortgages, etc. to your attorney. In addition, you should confer your unsecured and secured debts with your lawyer. This will aid in determining whether or not you’ll be discharged from all of your debts after filing for bankruptcy. Keep in mind that there are some debts that are very complex to be discharged and may still haunt you even after bankruptcy. A free bankruptcy advice will let you know that you are proscribed from filing for bankruptcy if many of your debts are non-dischargeable by nature. If you failed to furnish accurate information in your loan application with the chief intent to deceit your creditor, you will not be allowed to declare bankruptcy. In case someone co-signed your debt, then he or she would become responsible for your debt, thus filing for bankruptcy will not be necessary. Like getting investing advice from a skilled investor, it is also best to get help and advice from a lawyer when it comes to filing for bankruptcy.